All essays should entail the main idea, primary argument, or a central message. Subsequently, all the arguments you make within the paper should bear reflection on this main agenda. The sentence that captures your stance on the main idea is what is referred to as the thesis statement. Furthermore, the statement should be at most two sentences in length. The first sentence presents the main point and the second one gives your stance on the topic. The thesis statement tells the reader what the essay is about and also acts as a guide to keep you focused on your argument. Unfortunately, several students do not understand the basic principles of writing great thesis statements. According to them, writing is simply pouring out whatever is in their mind into the paper. As a result, they end up writing papers that are out of topic and arguments that are difficult to understand. Some learners also lack a proper understanding of the key concepts within their field of study. So when it comes to writing a thesis, they are unable to think about a suitable topic as well as offer a stance on the same. Attempting to write a document in such a state will lead to a mediocre paper that cannot score good grades. Sometimes students have a lot of academic tasks and assignments to accomplish within short periods. This makes them overburdened with assignments and might not be able to complete all of them effectively. Therefore, it would be highly necessary to outsource the writing of this paper to a qualified writing company. Emergency occurrences such as sudden illness and other urgent personal issues also hinder a student’s writing schedule. In the event of such an occurrence, all the writing activities must be put on hold first to resolve the problem at hand. This means that time meant for writing will get consumed and when the student is eventually ready to proceed, there is little time left to write. He or she will end up submitting the paper late or will have to hurry and deliver substandard work. Family responsibilities place a strain on the academic life of a student. Taking care of loved ones causes great exhaustion. Fatigue will prevent proper focus of academic tasks making the student unable to write a quality paper. Therefore, they need a company to help write a thesis statement. Part-time jobs also compete for time with academic work. During free time, the student might become too exhausted to write. Lastly, leisure is an important part of human life. After attending the numerous classes at school, it is important to unwind and rejuvenate. A student can then find time to socialize with friends and family as well as pursue hobbies and other personal interests. Being overburdened with schoolwork, emergencies, work, and jobs makes it difficult to find time to relax, which prevents individuals from focusing and writing quality essays. You must ensure that your thesis statement is as clear as possible. This will ensure that the reader fully understands the message you are trying to convey. Aim to avoid the use of technical language and jargon unless certain that your readers will comprehend. Avoid using adjectives as well as abstract words. Similarly, the statement should do much more than announcing the topic. It has to reveal the position you are bound to take on the issue and how you will discuss and analyze the main points. When it comes to facts, do not just state them. Go further and give more information on these facts. We only hire the most prolific writers in this industry to provide help on thesis statement writing. Before a writer joins or fine establishment, they must undergo rigorous testing to ensure that they are up to the task. Any writer who does not meet our requirements cannot be allowed on our team. No writer is allowed to submit a paper with unoriginal work. 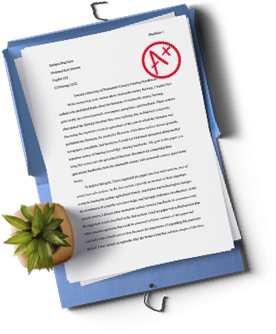 It is mandatory that after making a thesis statement and writing a quality paper, it must be cross-checked for plagiarism. Any material borrowed from an external source must have the appropriate citations. We utilize the Copyscape software to ensure that your work is 100 percent original. The cost per page for our papers is $11.30 per page. Most students struggle financially, and with such a price, we can assist many solve their thesis statement writing problems. When you purchase a paper for the first time, you receive a beginner’s discount. Making referrals to friends and colleagues will also earn you bonuses that you can redeem through free papers. Finally, the greater the volume of papers you purchase, the higher your discount proportion you enjoy. We offer our writing service round the clock to ensure that you can reach out to us for assistance whenever you encounter a writing problem. Our support staff is very kind and understanding. Feel free to raise any issue with them. They will assist you immediately. Follow the procedure below to order your paper. Whenever you are not satisfied with the quality of your paper, you can request a refund. Our money-back guarantee ensures you receive your money when such disputes arise. Within the first two weeks upon completion of the order, you can request for an unlimited number of revisions until you are fully satisfied with the paper. We offer fast and efficient payment methods. PayPal and visa are our chosen systems of payment. All information you share with us is kept confidential and safe from third party individuals. Let our top-class team of writers show you the best way to write a thesis statement and solve your writing problems as you enjoy your peace of mind.